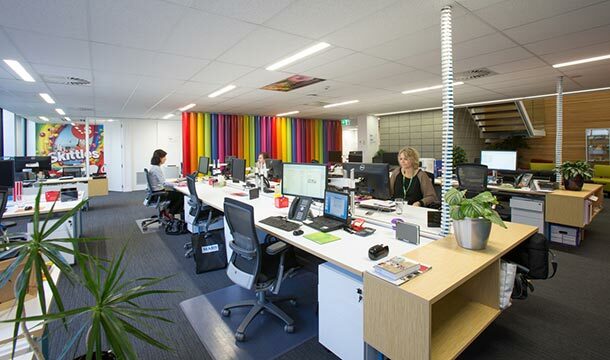 A move to Central Park provided a fresh opportunity for Mars New Zealand to unite the colourful Mars and Wrigley brands under one roof. Situated on Auckland’s Great South Road, Central Park boasts more than 30,000m2 of office space, accommodating 45 tenants across multiple buildings. The development provides good tenant amenities, in addition to plenty of parking and easy motorway access. Goodman acquired Central Park with its existing building stock, and the potential for further development. The previous tenant’s relocation provided a golden opportunity to upgrade Building 14. RDT Pacific Director Simon Wilson worked closely with Goodman portfolio manager Jarrod Macgregor to provide advice and package an offer favourable to both landlord and tenant – in this case a lump sum contract. Simon was a natural fit to lead the project and support Goodman in its endeavours to secure the tenant, due to a strong existing relationship and a comprehensive knowledge of sustainable design – a key driver for Mars. The building was gutted, stripped out back to raw structure and entirely reinstated and upgraded with new mechanical and electrical and data infrastructure. A section of the first floor was removed to add a staircase through the building’s centre. 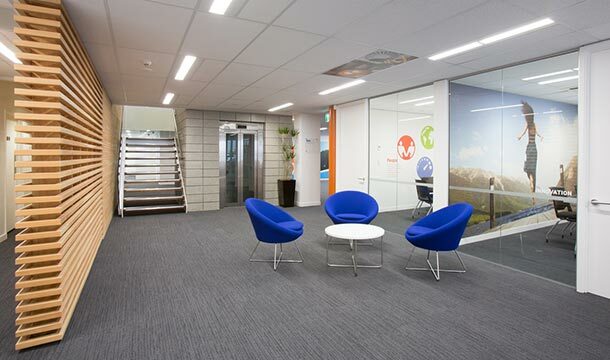 BAAK Architects worked with Mars, Goodman and RDT Pacific to integrate refurbishment and fitout. This initiated an intense, fast turnaround design period to anticipate and meet the needs of both landlord and tenant for the overall design and budget. 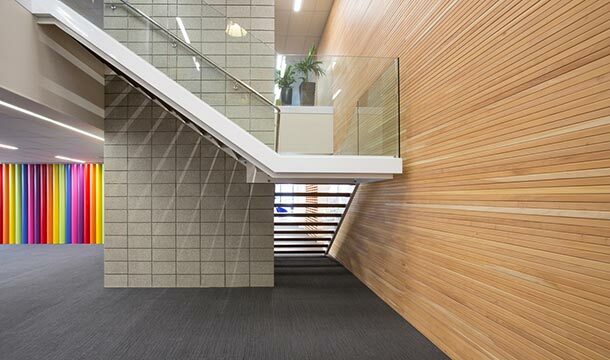 The fit out aligns with the company’s non-hierarchical culture and brand guidelines. All associates are on one floor (accomplished by siting the reception, lunchroom and some meeting rooms on the ground floor). The entire office is open plan, with only one size and type of desk, and directors sit in desk clusters with their teams. A considered design strategy brought multiple, colourful Mars brands to life from confectionery to pet food. The neutral palette was accented with timber and simple splashes of colour, ensuring that the branding didn’t fight with the interior. Working to a strict budget supported a mandate for sustainability. 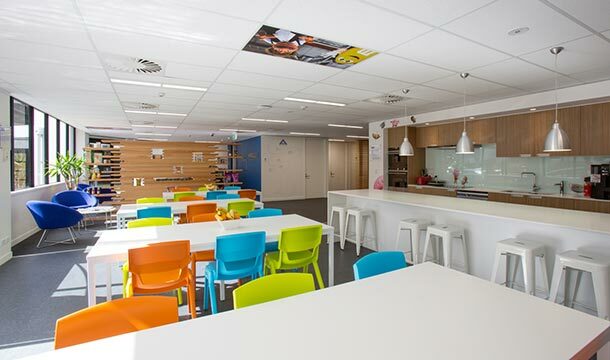 Furniture was reused and the fitout includes environmentally sustainable design considerations such as a highly energy efficient mechanical system with CO2 monitoring to protect indoor air quality, LED lighting, and specifying the greenest products practicable.